Your skeleton helps you leap, somersault, and touch your toes-without it, you would be as floppy as a beanbag! There are over 200 bones living and growing inside you that make up your skeleton. There are also ligaments and joints that hold your bones together, and cartilage in your bendable parts like your ears and your nose. 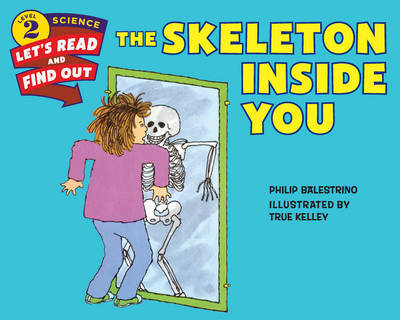 Read and find out all about what a skeleton can do! Now rebranded with a new cover look, this book features content-rich vocabulary, fascinating side bars and diagrams, and beautifully detailed illustrations by veteran illustrator True Kelley. The classic text by Philip Balestrino and the illustrations were vetted for accuracy by an expert in the field.